A Warwickshire businessman has paid tribute to the University of Warwick after it helped him transform a start-up idea into a £50 million business. Nigel Shanahan has just overseen the sale of Rant & Rave – a company he started in 2000 – to American firm Upland Software. Rant & Rave allows clients to capture, analyse, and act on real-time customer and employee feedback across multiple channels and it counts Fortnum & Mason, Sky, Coca Cola, Jaguar Land Rover, Barclays and Cineworld among its client base. Shanahan, who lives in Kenilworth, started the business after 10 years with tech giant IBM. He enrolled on the Team Start programme for would-be entrepreneurs offered through the University of Warwick Science Park (UWSP) before setting out on his own. He then took a unit at the University of Warwick Business Innovation Centre in Binley, before moving over to the Science Park at the main University of Warwick campus, where the business transformed into Rant & Rave. He said; “When I had decided to strike out on my own, I enrolled on Teamstart, which was set up and run by UWSP and, to be honest, I wouldn’t be here today with Rant & Rave if I hadn’t gone through that. “The programme was run with the idea of equipping senior people in corporations with some of the skills and tools that they might need if they were going on the journey into entrepreneurship. It put some of the rough edges back on to us! Shanahan has gone through an MBA at the University of Warwick as well as taking students on assignments at Rant & Rave, and also used the Science Park for another key development in his firm. “It was somebody at UWSP that, when I needed it, talked me through what became a management buyout of the venture capitalists. He literally took me, in its entirety, step by step through how to carry out an MBO. “The University of Warwick Science Park has been here for us the whole time, and has been very supportive, very understanding. When we were in Binley and expanding quite quickly and had to move, they had a “let’s try and figure it out” perspective. “Once that was agreed and we were moving to the central campus, the negotiations and the discussions were really good and it felt right. It’s suited us well. “I would definitely recommend the science park for people coming out of a corporation. 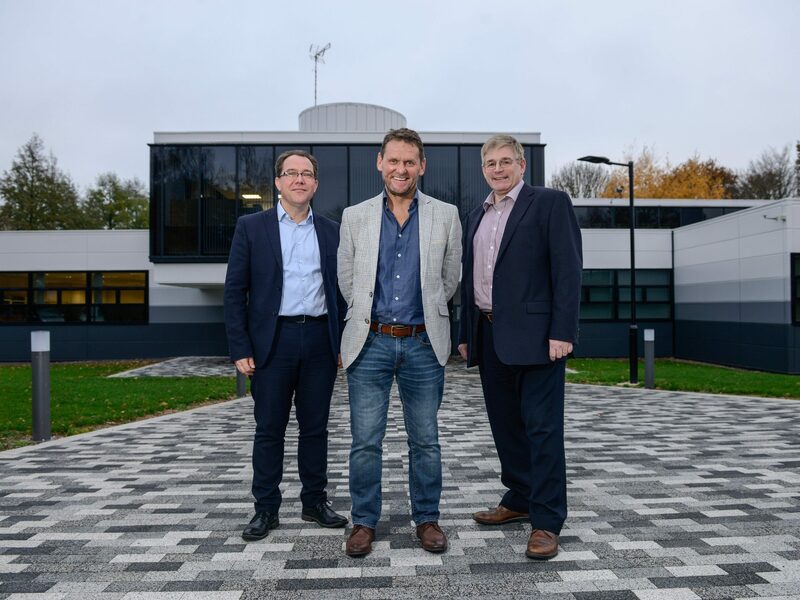 The level of guidance and support they have given has been phenomenal.”David Grindrod, Chief Operating Officer of the University of Warwick Science Park, said Rant & Rave was one of the biggest successes in the 35-year history of the park. “We have had companies who have started here, expanded and then left and gone on to great things, but for Rant & Rave to have completed their journey from start-up through major expansion and sale, using a large number of the services we offer, is very unusual.